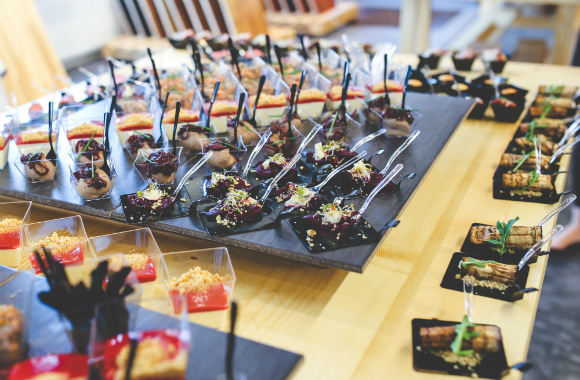 From addressing food allergies to dealing with shrinking budgets and tighter-than-ever timelines, venue food and beverage teams face a host of challenges with every event they help organize. Corporate Meetings and Events magazine recently spoke with senior leaders at several successful event venues to learn about how these hard-working teams address such challenges to create exceptional experiences for planners and guest alike. 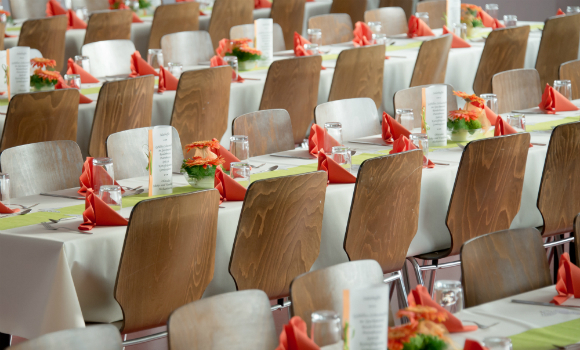 What are some of the biggest challenges in planning food and beverage components for corporate meetings and events? Jason Bangerter, Virgilio Vea and Kate Mackay: Over the last decade, the number of allergies and food preferences for any given event has increased. At Langdon Hall, we like to customize the dish away from the allergy rather than provide a complete menu replacement but this becomes challenging when over 10 per cent of the party has noted an allergy or food aversion we need to consider. Another challenge is keeping to deadlines. We work to finalize menu details at least 10 days before an event and require F&B final guarantees 72 hours prior to the event. From a service team’s perspective, this can be the hardest challenge: Last minute changes. It seems that BEOs are not always reviewed by the clients or at least signed back. All the information provided on the BEO should be as accurate as possible. Paul Paboudjian: The biggest challenge is to truly understand the needs in terms of quantities and consumption for the guests you have staying with you. This is important so that you are not over producing and, at the same time, have enough so the buffets do not look sparse when the last guest comes to join the events. The other platform is keeping the team motivated to continue producing high volumes of food while maintaining the highest degree of quality. Our business is just as much about people as it is about food. Jennifer Rafuse and Jenna Nicholson: Organizers are faced with numerous challenges when planning an event and quite often with the food and beverage component of planning they include budget constraints, a large variety of dietary restrictions and tight timelines to execute events. We’ve had great success by drawing on our 27 years of event experience and writing market specific menus which are designed to address the specific needs of a planner for events ranging from conventions to weddings. What can planners do when working with venue staff to help make these events run more smoothly? JB, VV, KM: The convenience of email and texting is amazing but from an event detailing perspective, it’s challenging to answer multiple emails a day from a planner. We like having an initial phone call with a planner that is followed up with a planning document submitted by the planner outlining most of the details required. After that has been sent, we suggest accumulating questions or changes to no more than one email/day with the exception of last minute needs. In addition, it would always be nice that all clients tour the facility with a sales rep and an operations rep. Operations seems to be left out of these meetings, when in fact they are the ones to execute the event and who can easily address the requirements or limitations of the venue. PP: We believe that it is essential to work with us at the hotel level to provide as much detailed information as possible with as much notice as possible. Sometimes we have a very small window in which to react, which causes undue hardship on all the parties surrounding the event and therefore can lead to possible mistakes that provide poor experiences. Finally, being careful to keep the expectations within the client budget. To us, quality and service are key but learning to educate our customers on the markets we are in is very important. JR and JN: When faced with challenges it is helpful to establish open communication between the venue planning team and planners, so that we are able to understand what the event is looking to achieve. Basic details we start with are delegate demographics, where the event has been previously hosted and the takeaways from those experiences. As the venue planning team, we also like to share previous event experiences to set expectations along with visualizing successful events. We feel a critical element of success to overcoming challenges is to collaborate with our clients to deliver exceptional event experiences. What are some of the most interesting F&B trends when it comes to event menus? JB, VV, KM: We are fortunate to have a 75-acre property that is very unique in its offering and resources for small groups. Chef Bangerter has excelled at creating a farm-to-table philosophy to complement the marketing plan and vision of the cuisine experience. Theme breaks featuring a chef appearance to explain the food concept and interact with the event participants tells a story and creates a lasting, memorable impression on guests. Vegan and gluten-free items are a big need. It is important that they appeal to all guests. This spring our most popular dessert was a Chocolate Ganache that was prepared nut-free with coconut milk so it was served to guests who were vegan, lactose intolerant, celiac, requiring nut-free and to guests who had no known allergies. Gear the offering to meet multiple needs. Food is no longer just a “feature” for many hotel businesses, it’s the main event. How do brands rethink the connection between hospitality and gastronomy? This is where we are focusing on creating excitement. PP: We believe it is important that we keep things unique and fresh with optics and with our product offerings. Molecular gastronomy is becoming an experience people are starting to be drawn to. Although it is not substantial in volume, it is certainly something that evokes conversations and makes people have fond memories of the event itself. JR and JN: The trend for “local” continues to be at the forefront of what meeting planners are looking to showcase to their delegates. This trend has evolved to include generating an experiential event where we are creating an environment so the delegates are able to connect with us, such as action stations that are unique, tapas bars where the chef is building the plates in front of the guests, or a BBQ event on our Pacific Terrace overlooking Stanley Park and the North Shore Mountains. Included in the local trends are also showcasing the craft beer and local wines. Rather than just serving the beer and wine, we have found success in partnering with our suppliers by inviting wine makers and brewers to serve and talk about their products. This has elevated the experience along with creating excitement about our local businesses! What new F&B developments are on the horizon for your facility and how do you see these enhancing the event experience for planners and their clients? JB, VV, KM: Our F&B team includes talents from the gardening team, sommeliers, chefs, and serving staff who are pleased to share their passion and knowledge with guests. Imagine touring the garden prior to lunch, watching the gardener pull the radish that will appear in your salad 45 minutes later. Our team is excited to interact with your participants and make a memory for them. We can execute wine tastings, cooking demonstrations, cocktail-making classes, foraging excursions, and pastry lessons for 2-14 participants at a time. We have a demonstration kitchen, vegetable garden and award-winning wine cellar to introduce to guests. PP: We believe that tapas, or small plates, will continue to trend because we are seeing more and more that people are gravitating towards many tastes and little bites. In addition, interactive presentations and challenges that involve F&B are fun ways to engage teams. We are seeing and creating more and more events designed to bring people together because of food. JR and JN: The interest in hosting a sustainable event is a trend that has increased significantly over the last several years. We were recently awarded the world’s first Double LEED Platinum Convention Centre for design and construction as well as management and operations of the building. Since 2014 we have been certified for environmentally sustainable meetings by GMIC / ASTM Level One. Thanks to the predictive nature of F&B events at the VCC (complemented by our “made-from-scratch” approach to menus) we control waste to a much higher degree than most hospitality operators. VCC’s history of promoting and using locally grown, fresh products means fewer “food miles” are consumed in the transport of products to our door. We are also a certified “OceanWise” facility – with sustainable seafood choices on our menus as defined by the Vancouver Aquarium. This entry was posted in Event Branding & Marketing, Event Budgeting, Event Operations, Food & Beverage and tagged budget constraints, challenges, communication, Director of Catering, Director of Food and Beverage, Director of Sales and Marketing, executive chef, food and beverage, food trends, Jason Bangerter, Jenna Nicholson, Jennifer Rafuse, Kate Mackay, Langdon Hall Country House Hotel and Spa, Paul Paboudjian, Senior Catering Manager, Sheraton Centre Toronto Hotel, teams, Vancouver Convention Centre, venue, Virgilio Vea.